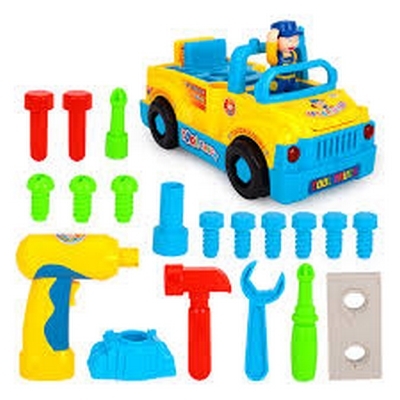 Your little mechanic will have hours of fun with this take-apart toy truck. Quick to take apart and re-assemble. 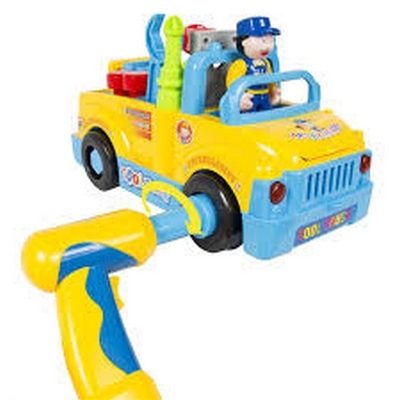 The truck will turn when bumped into an obstacle. When turned on, the truck has cheery music and lights. Lots of fun for your toddler.